Nathan, how about you describe yourself for us? I’ll break it down for you like all the teen mags do. His dream date: A night under the stars. Most people would call me a pop star, but I kind of hate that terminology. I prefer just plain old singer. I like to make people feel things through music. I listen to anything and everything. Recently, I’ve been listening to a lot of Abby Curtis while she works on her new album. It’s amazing. (It really is, I’m not just saying that because she’s my girl.) I’ve also been listening to “Sittin’ on the Dock of the Bay” by Otis Redding on repeat. Then there’s Rachel Platten, Christina Perri, my boys One Direction, fun., Coldplay, Michael Jackson…I could go on and on. Music is my life. I’m living my dream. I get to share my soul with the world through music. I couldn’t ask for anything more. A private island, preferably somewhere warm and where the paparazzi can’t come. I’d love to stay a few weeks after the tour on that island living in a beach bungalow steps from beautiful turquoise water so I can decompress. Tried out for Rockstars: Live! But look where it got me. I owe everything I have to that show. It proves you should do the thing that scares you the most. It’ll give you the biggest rewards. Whether I wear boxers or briefs. It’s funny because that’s what all the reporters seem to want to know! Paparazzi who won’t stay out of my business. He leaned toward her, and she stepped back until she bumped into the wall. He placed his palms on either side of her shoulders, capturing her between his intense gaze and the understanding that they shouldn’t be doing this. 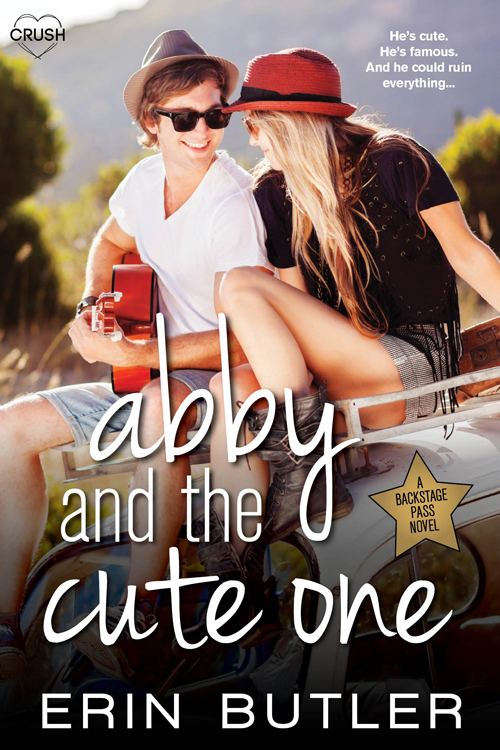 Happy Release Day to Abby and the Cute One!